ALLY is launching an event to kick off their “Missing Pages of our History” ethnic studies campaign. This event will be held at the Jade/APANO Multicultural space on the corner of SE 82nd and division on the 15th of October from 5:00-7:00pm. This youth-led event aims to build community and engage with students, parents, teachers, educators, organizations, elected officials, and more around implementing ethnic studies in all Portland Public High Schools. The evening will feature performances from local community members, youth, and more, along with free food. With an increasing population of students of color in Portland Public Schools, with about 46% enrolled high school students in 2014 being non-white students, still only one PPS High School offers an Ethnic Studies class. ALLY students have stated that because our histories aren’t reflected in our textbooks, it’s harder to stay engaged and be successful in school. And because most curriculum is Euro-centric, students of color may never have the opportunity to learn about the contributions of our communities in the US. ALLY believes that by offering Ethnic Studies in schools, students-of-color will get to learn about their histories and communities, which can raise the self-worth of students-of-color, develop political, social, and critical consciousness, help combat racism, foster empathy and understanding, and connect and learn our shared struggles and experiences. By offering these classes in other school districts in the country, data has shown that students enrolled in ethnic studies classes raise their GPA’s, reduce the number of unexcused absences, and graduate at higher rates. ALLY hopes to work with the Board of Education to draft a resolution to create a plan to implement at least 1 ethnic studies class in every Portland Public High School within 4 years. 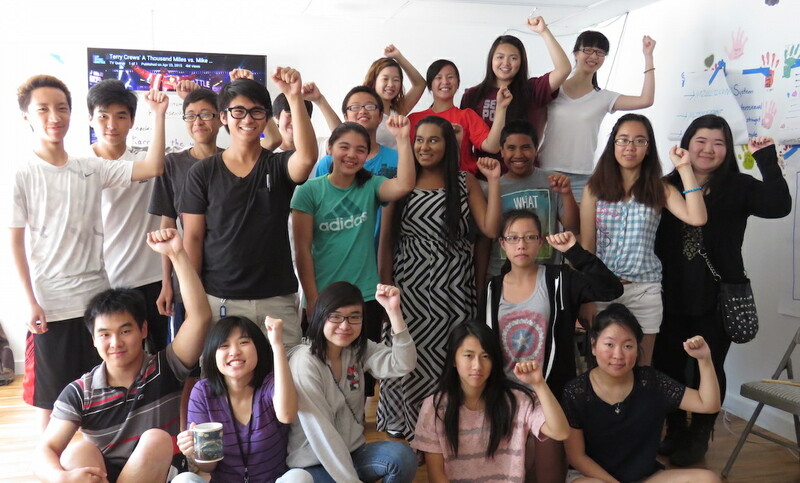 ALLY is the youth-led organizing arm of APANO (Asian Pacific American Network of Oregon). ALLY believes that the people most affected by an issue should be the ones fighting for the solutions, and that youth should be the ones leading the decision-making process around issues that affect young people. ALLY builds the leadership skills of API youth through grassroots social justice community organizing. For more information, please contact Karn Saetang at [email protected].